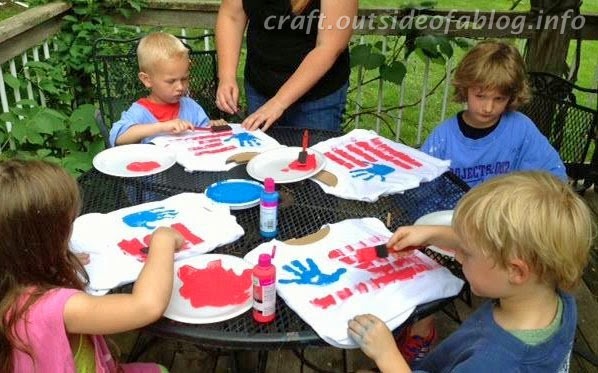 Outside of a Blog: DIY Patriotic T shirts for Kids! These shirts are so cute, you'll want your kiddos to wear them all the time. They'll be so proud of their artwork that they just might agree with you on what to wear. 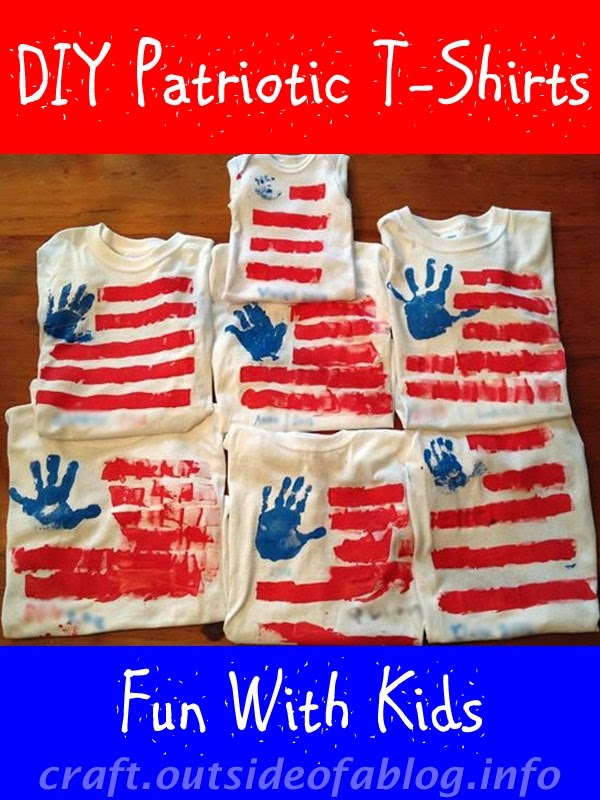 You may have seen shirts like these on Pinterest—my friend Debbie did! You can tell she has a plethora of grandkids and, somehow, the energy to do all kinds of fun things with them. Frankly, one of the best ways to enjoy time with children is to engage everybody in a craft together. 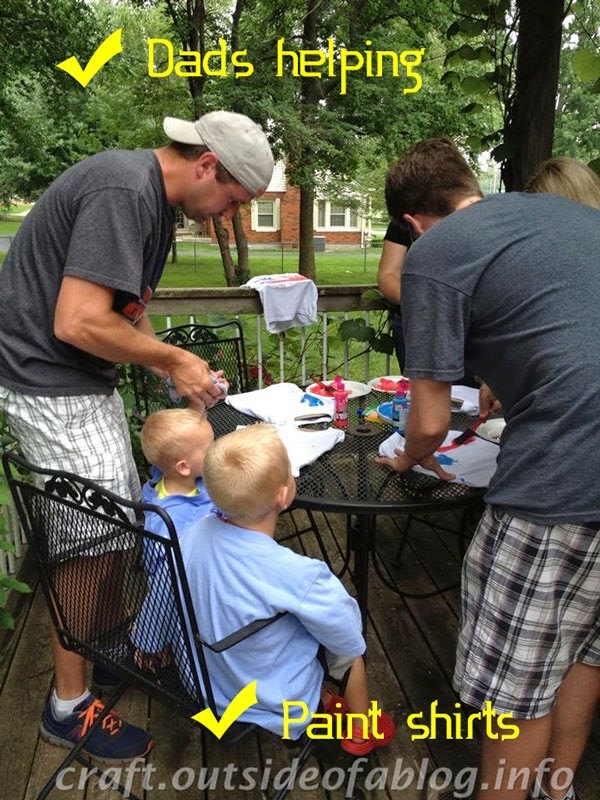 Painting these shirts works great, because it's fun for all ages. Don't you want to make one for yourself? Debbie knows how to involve everyone in the fun. See how the dads are helping out? I see that she knows her crafting-with-kids rules, too. All the kids are wearing "paint shirts" to protect their clothes. Thank you, Debbie, for letting me share these photos!